The Washington beltway turned a deaf ear to artists’ rights until one guy, one activist, wrote the words “I Respect Music” on an index card and showed it to the world. Now, thousands upon thousands of music makers and music lovers are standing together and making history by adding their names to a petition that is not only shaking up the music world, it’s shaking up Congress. 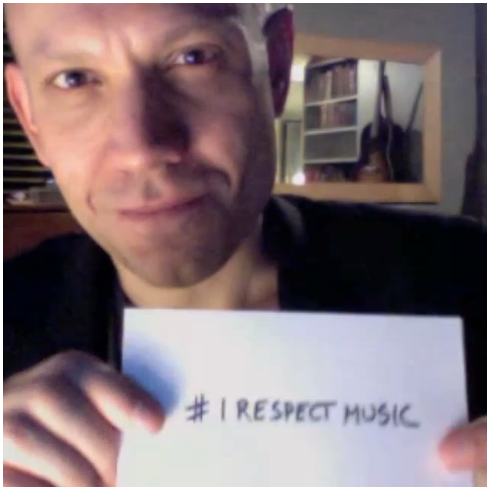 To sign the petition, please visit http://www.irespectmusic.org. In music specifically, 2013 has been a year unlike any other in recent memory. 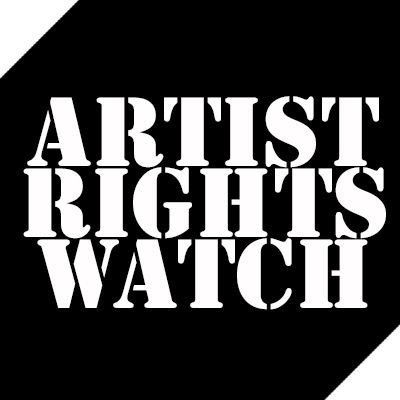 It’s been a year that has seen musicians stand up and speak out on behalf of their profession like never before. And the results have been historic. Internet radio giant Pandora has announced it’s abandoning its pursuit of legislation that would lower artists’ royalties. Congress is now taking another look at copyright reform. Spotify has responded to broad criticism and made their operations more transparent. 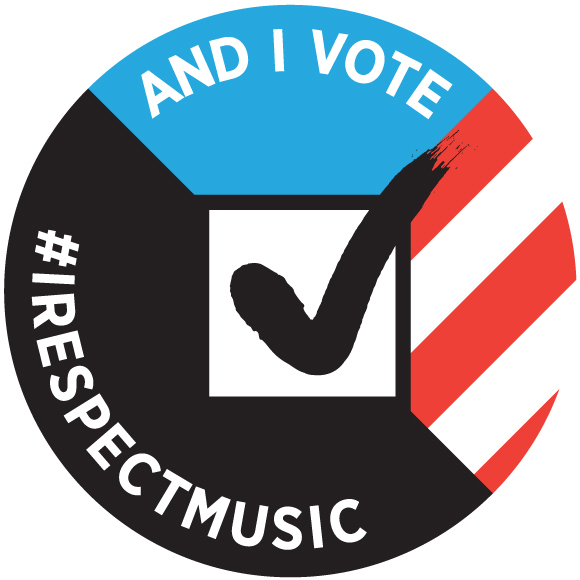 And perhaps most significant, music lovers are now standing with music makers to help push these issues forward. For the first time in a long time, there’s a lot to be hopeful about if you’re a musician. There are tremendous fights ahead, against powerful forces, on many fronts. But we have something those forces don’t have. We have something worth fighting for. New blog Music Intelligentsia digs into Music, Politics, Innovation. Dig In! Fair Use by Google Books? Fair Use by GoldieBlox? Is copyright law being turned on its already-spinning head? Music Intelligentsia presents the commentary of 10 highly regarded experts regarding this important and controversial issue. For quick reference, please use the links below to go directly to a particular commentary. Relativity Media and Google asked if I’d sit down and talk about my life in music, my new record, and the current battle being waged between musicians and Pandora that’s been garnering so many headlines. It was a terrific conversation that lasted almost two hours. Of course the piece they were looking to do was only going to be around five to eight minutes, and in the end it still turned out to be over 10 minutes long. But, there were a couple of points I felt were important beyond what was kept for the piece that I’d like to briefly underline here. The first is that as big as the battle with Pandora is, the battle musicians are now saddled up for across the board is even bigger. Calling out Pandora on its unscrupulous double-talk to Congress and Wall Street, and fighting to get them to change their behavior is necessary and righteous. And I’m optimistic that in the long run that battle will get won. But we also have to keep our eyes on the prize: ending ad-funded piracy. As long as the music world is bleeding revenue from the theft of our music (which in turn is sponsored by giant corporations that place ads right on the illegal download pages), the real problem won’t get solved. Our work, and our livelihoods will continue to be stolen right out from under us. Again, I’m optimistic, and I trust that we can focus on more than one righteous battle at a time. Both the important smaller one, and the over-reaching larger one. Second, I wanted to just underline a whiff of good news in all this that I’ve been noticing. 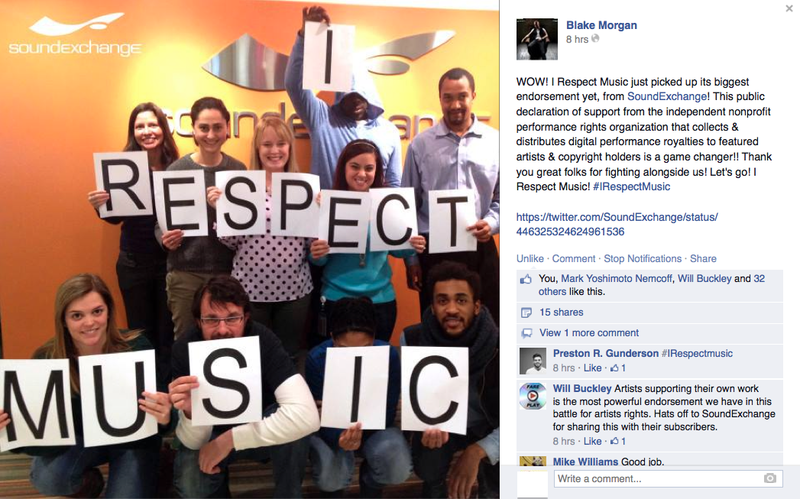 For the first time in this struggle, I’m seeing music lovers join music makers in our outrage. I’m getting letters and emails, messages, and tweets from music-loving people who are raising their own voices and saying, “I’m with you! I really understand this now…we want to get the music that matters to us, and we want you to get paid fairly.” I can’t tell you how many times I’ve had people tell me this, and it’s in stark contrast to what I’ve heard over the last ten years. So I’m not hopeful in a vacuum…I believe the consciousness is changing, and that there’s a great foundation to build on. There’s so much work to do, and little time to do it if we’re going to save the young musicians out there who are hoping in turn to be musicians as their profession. You can’t wring your hands and roll up your sleeves at the same time. Let’s win these fights. Let’s get to work. 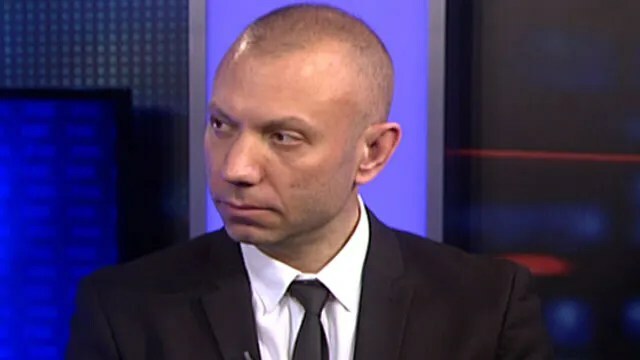 Songwriter, Musician and Label owner Blake Morgan gained national attention through his email correspondence with Tim Westergren regarding Pandora’s attempt to manipulate musicians into signing a letter that would reduce their own royalty payments. Blake returns with a new editorial in the Huffington Post. Instead of lobbying Congress (as you have) to lower Pandora’s rates, honor the rates Pandora, artists, and labels agreed upon together for Internet radio hand-in-hand with Congress in 2009. It’s an agreement artists went into with you in good faith, that already dramatically lowered the rates Pandora had to pay. It’s an agreement Mr. Westergren himself applauded at the time, famously and happily announcing on his own blog, “the royalty crisis is over!” It was also an agreement we were all supposed to continue honoring together, until 2015. 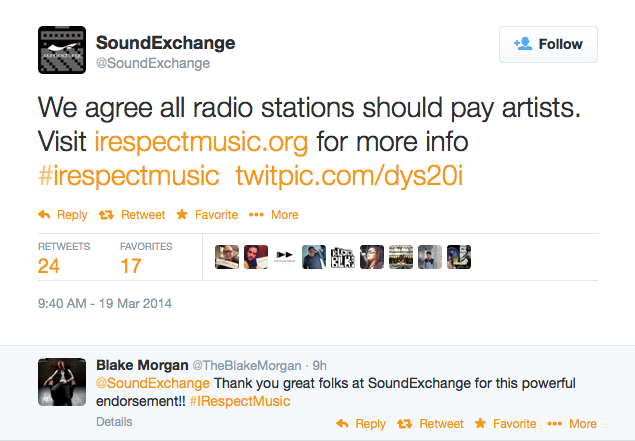 Instead of taking provocative action and purchasing a tiny radio station in the country’s 255th largest market (as you just did in an attempt to qualify as a terrestrial radio company and not have to pay a performer royalty), take different, provocative action. Stand with music lovers and music makers in reasonably and rationally arguing that terrestrial radio has never paid its fair share, and it’s time it did. And then to show you mean it, sell that station.